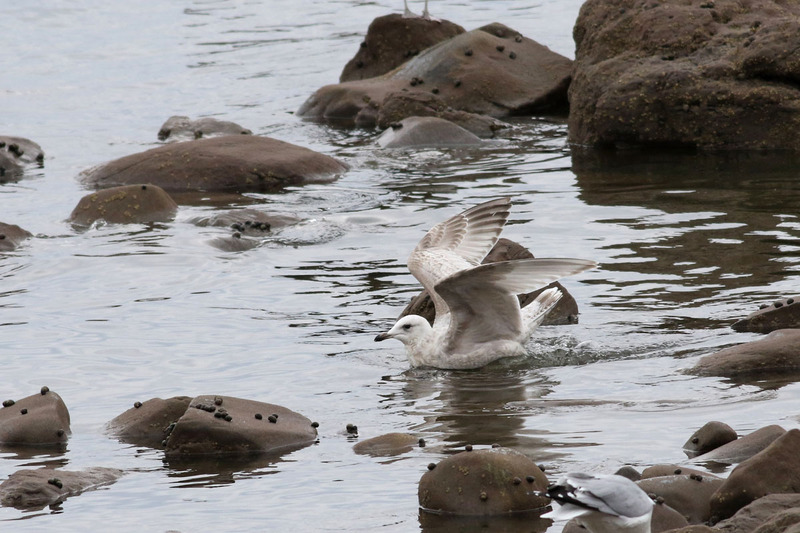 On Saturday, April 7th, some 45 birders attended COA's annual Gull Workshop. 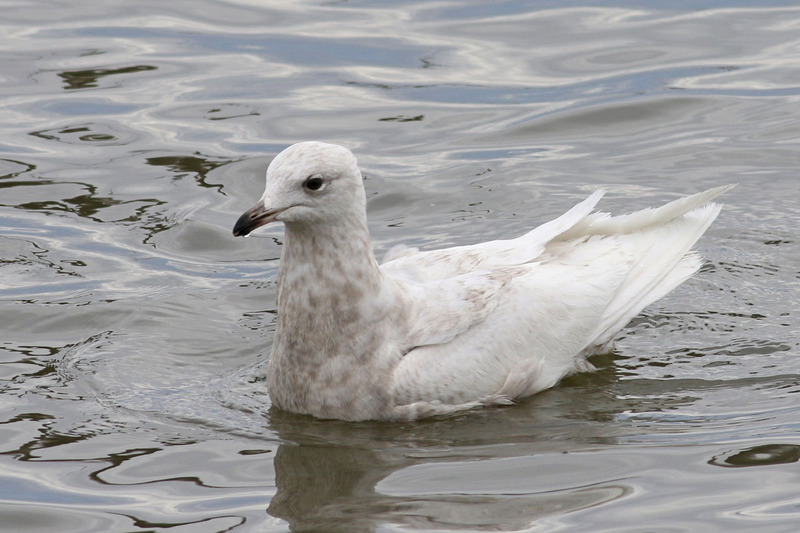 At Stratford Point I gave a presentation on gull ID that was followed by a field session. 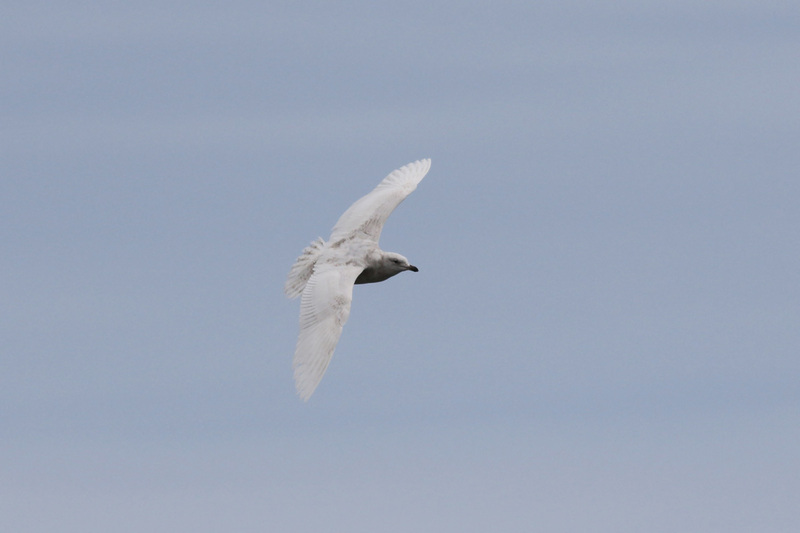 During a break in the indoor segment, Stefan Martin relocated a thayeri-type ICELAND GULL that Patrick Comins had found the previous day. 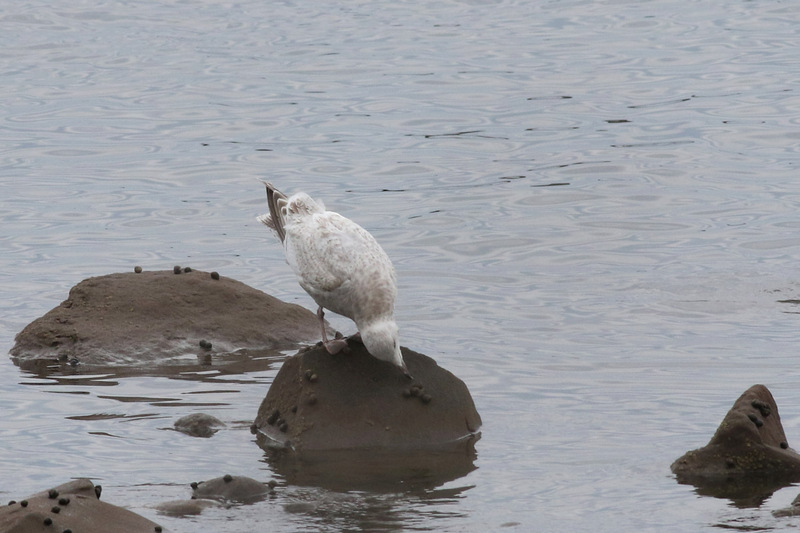 It was part of a small flock of gulls that were scraping recently-attached barnacle larvae off the rocks at the point. 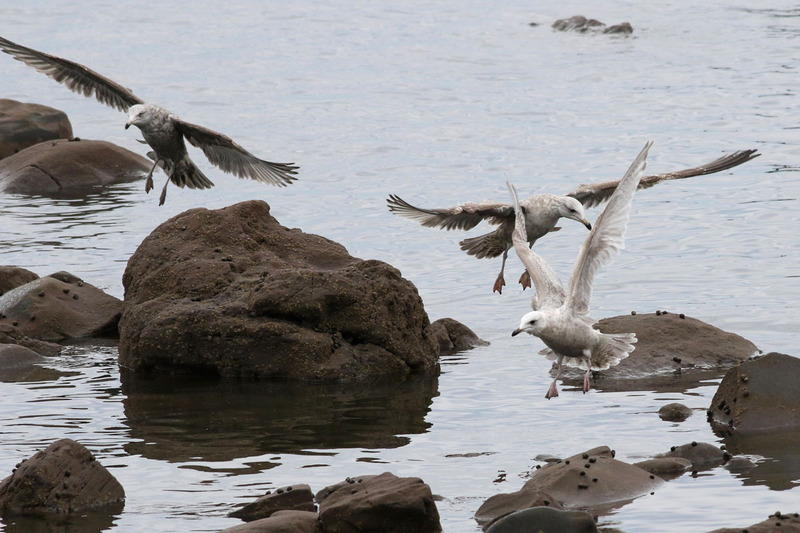 I had expected that we would be running up and down the coast in search of these wandering plankton-feeding flocks, but as it turned out, we never had to leave Stratford. The field session started at the Seawall, where a couple of flocks began plankton-feeding close enough to shore for study. 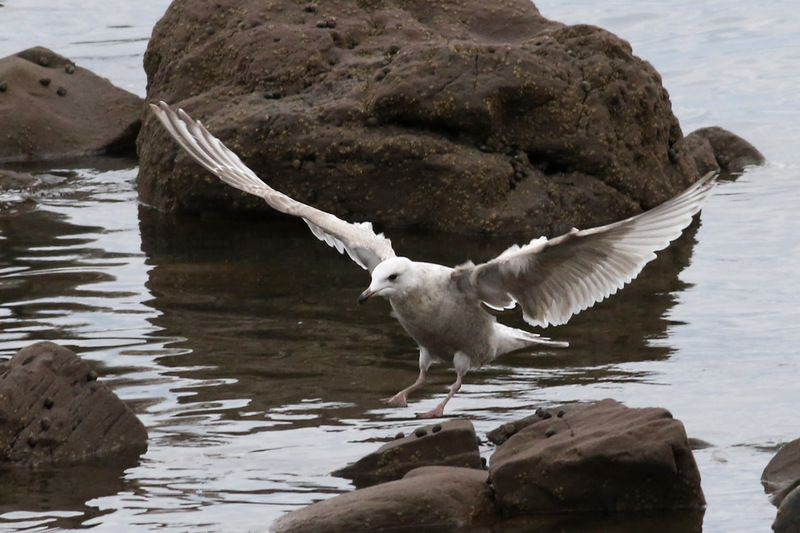 Bonaparte's Gulls were scattered among the abundant Ring-billed and Herring Gulls, and we had upwards of 10+ of our standard kumlieni Iceland Gulls in the area at once. 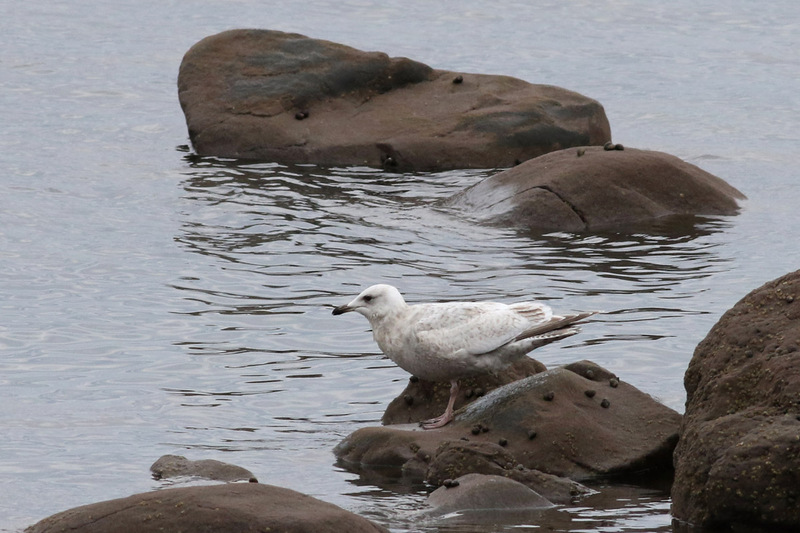 The first cycle "Kumlien's" Gulls are bleached pretty much white by this point in the season. It's been a great winter for those white-wingers, so there have been plenty around to study. The same first cycle thayeri from the point reappeared in one of these flocks, looking quite different from the kumlieni with its well-retained brown in the primaries, secondaries, tertials and tail despite the date. 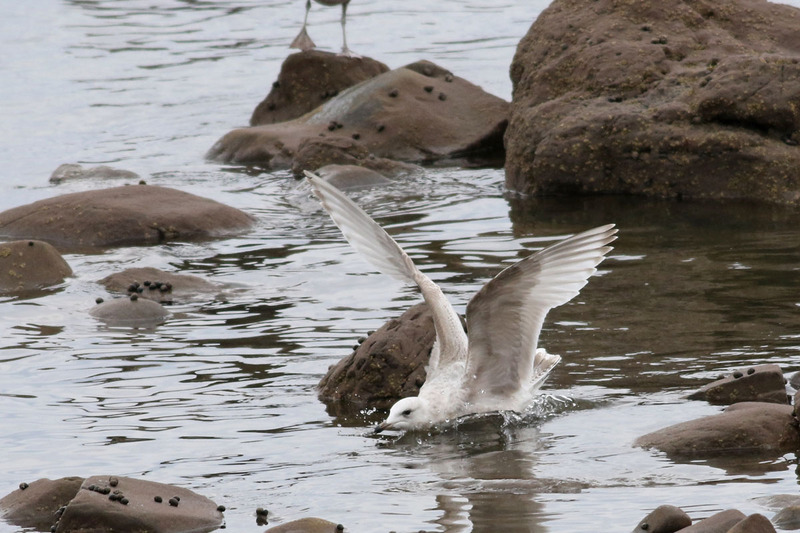 Everyone enjoyed nice scope views of these birds as they picked at the floating larvae. We were able to chum in a few birds too, including this kumlieni Iceland. 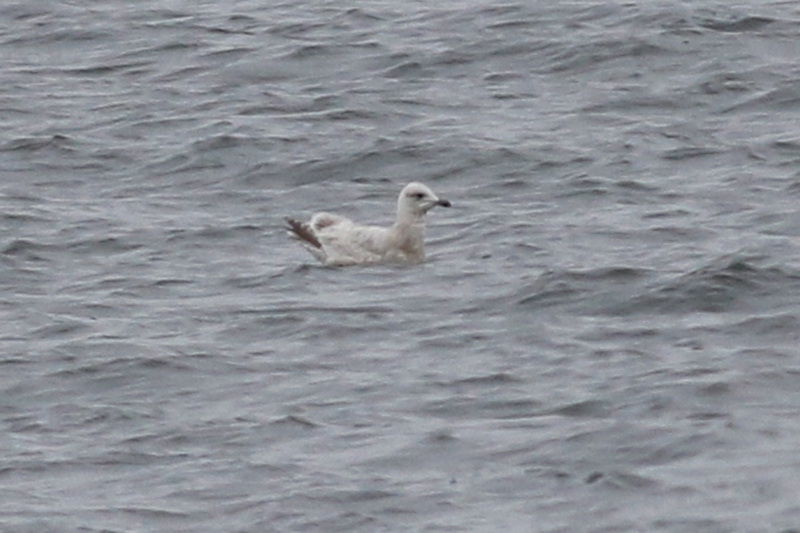 Note the bleached white upperparts of this bird, typical for this age in early April. We lingered at the Seawall for much longer than expected. Why leave with so many birds around? 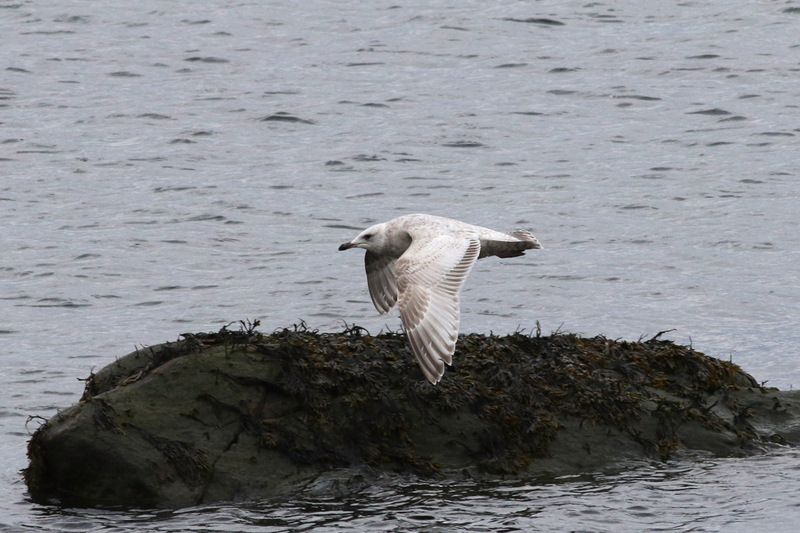 We scanned in vain for a Little or Glaucous Gull. Sometime during early-mid afternoon, after the crowd had thinned, we moved to Long Beach for a different viewpoint. 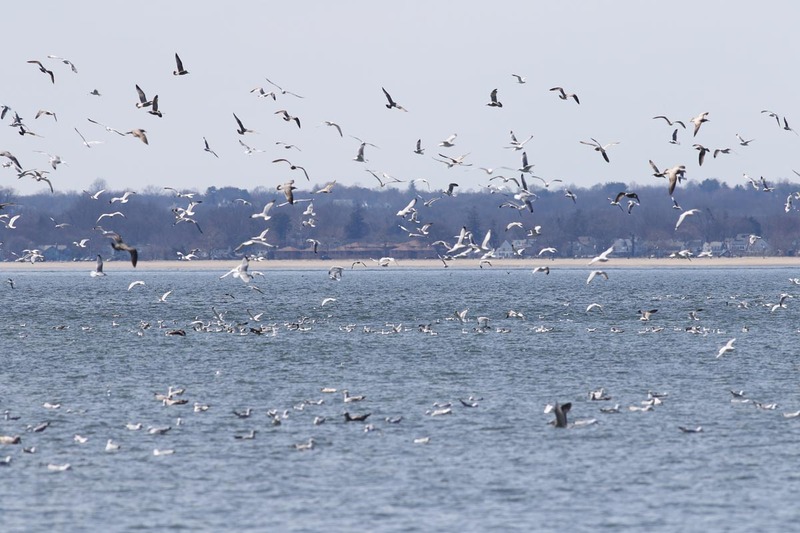 The flocks eventually coalesced offshore here, where numbers peaked at a whopping 10,000 or so gulls. The spectacle was something to see. It seemed that our participants really enjoyed the variety, the views, and the sheer spectacle. We put our ID skills into practice and even tried our hand at ageing some birds. I was really impressed by the enthusiasm of the group. We really hit the jackpot as far as finding so many birds to study for such a prolonged period. We got lucky. Even during the peak of this annual event, you sometimes have to spend hours either working up and down the coast to find the flocks or just waiting for them to come to shore after feeding a mile offshore. The waters off Long Beach at the end of the day honestly might have held as many gulls as I have personally ever seen at one time in Connecticut. We are almost at that time of year when this event ends and most of the birds move north, but we may be peaking a bit later this year. The consistently below-average temps and inclement weather may have something to do with that. We're finally getting a warm spell this weekend, which could clear many of these birds out. I'm going to try to enjoy this event a bit more before it's over. The end of the gulling season?